This was a residential fire loss that resulted in the dryer being detached during the mitigation phase. The washing machine was relocated off-site for cleaning and was later returned to the garage post cleaning/restoration. Cleaning the dryer resides beyond the scope of this insight sheet. The washing machine was installed in the laundry room near the garage, thus access did not pose an outsized challenge. 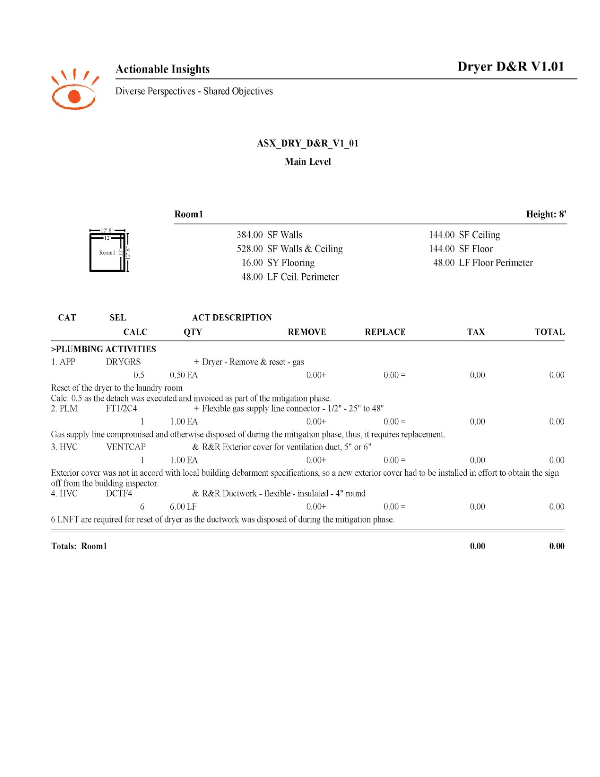 The existing ventilation duct work and the associated vent cover were compromised and those aspects required some additional concessions which we will explore. This type of scenario can cause 3+ labor minimums to trigger. The user is encouraged to be mindful of this and include labor minimums only as warranted. 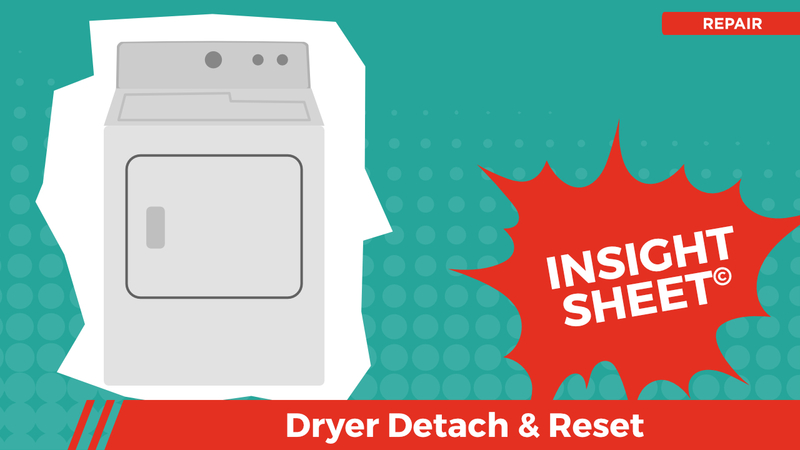 This Insight Sheet exists to clarify how one might invoice for the detaching and resetting of a dryer. This does not seek to include or make concessions for all equipment and/or activities as it relates to a loss of this nature.